Darien coach Jeff Brameier cheers on his team earlier this season. 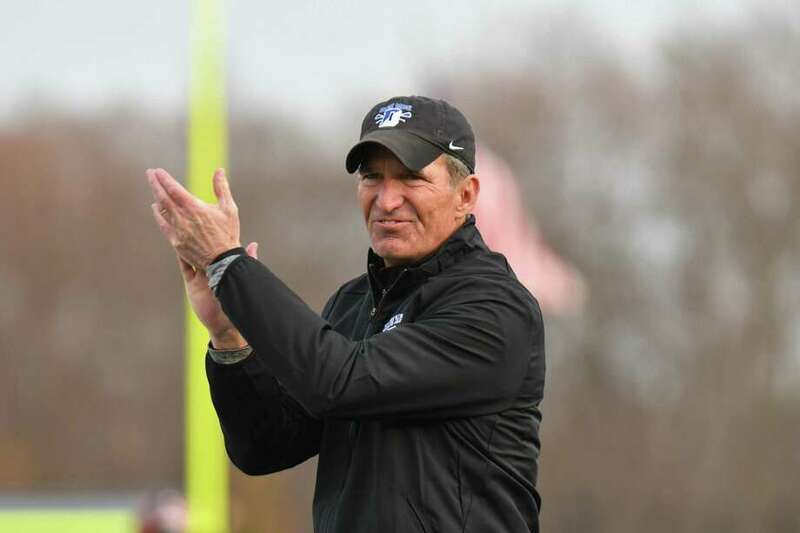 DARIEN—There’s virtually nothing that Jeff Brameier hasn’t accomplished in his run as the head of Darien lacrosse. This season, the Blue Wave won their fifth-straight FCIAC title and made it to the Class L finals before losing to Ridgefield by a single goal—snapping their 76-game win streak. So, when he was voted Coach of the Year by his peers in the FCIAC, he really attests that success to the entire program, not just himself. By his own admission, Brameier isn’t a fan of touting himself, but he does view the title as a testament to the entire town. While on the surface winning the award may not mean as much to Brameier because of his decades of experience, he still views it as something that can be meaningful to those that may not have his track record—especially coaches just starting out. While his modesty is a becoming trait, don’t let Brameier undersell what Darien has been able to do—especially the last several years. In 2017 Darien finished at No. 1 in the Under Armour/Inside Lacrosse National Poll, and sat at No. 2 for much of this year. In the past four seasons, Darien’s record sits at an almost impossible 110-4. So, even though the championship loss hurts, it does little to take away the run that Darien has been on in recent memory. And that list just keeps growing.